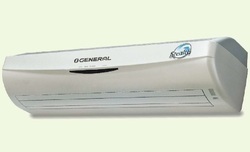 From the wide range of our products, we offer optimum quality Carrier Split AC. Procured from genuine vendors of the industry, this AC is designed as per the set industry standards using advanced technologies at vendors' end. In ahead of their final dispatch, this AC is quality tested on numerous parameters set by the industry.